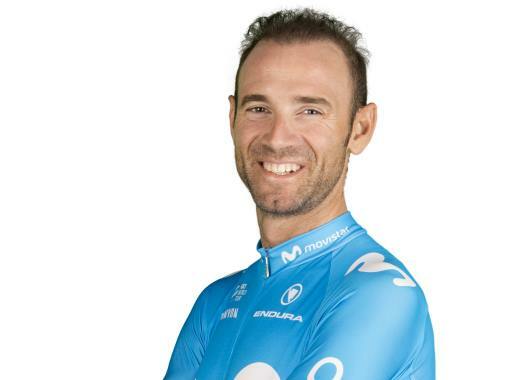 Alejandro Valverde (Movistar) has won the eighth stage of the Vuelta a España. The Spaniard outsprinted Peter Sagan and Danny van Poppel in the uphill finale. The eighth stage of the last grand tour of the year was 195.1 kilometres long between Linares and Almaden over a mostly flat route. Tiago Machado (Katusha-Alpecin), Jorge Cubero (Burgos-BH) and Hector Saez (Euskadi Murias) formed the breakaway of the day, which created a gap of more than 12 minutes with the pack. Behind them, the peloton was pulled by teams with sprinters that wanted to force a fast finale. The escapees were caught with six kilometres to go and the peloton remained compact to face the finale. LottoNL-Jumbo was the first team to take the lead at the last kilometre but all the other teams soon organised themselves for the final sprint. Bahrain-Merida's launched a late attack and was followed by Peter Sagan (Bora-hansgrohe), Danny van Poppel (LottoNL-Jumbo) and Alejandro Valverde (Movistar). It seemed that Sagan was the strongest man to take the stage victory, but Valverde overtook him at the last metre and won the stage. Sagan was in second position and van Poppel third. Rudy Molard keeps the leaders' jersey ahead of Sunday's climbing stage.